Jan. 26, 2016 | LITTLE ROCK — The College of Nursing Advisory Board at the University of Arkansas for Medical Sciences (UAMS) has elected Benni Fambrough of Little Rock its new chairman and re-elected JoAnn Hennessy Smith of Searcy as vice chair and Mike Spades of Little Rock as secretary-treasurer. Each officer will serve a two-year term, which began Jan. 1. Fambrough graduated in 1965 with a Bachelor of Science in Nursing from Northwestern State University in Natchitoches, Louisiana. She has a 40-year career in nursing. She moved to Little Rock to work as a staff nurse at University Hospital, which is now UAMS Medical Center. 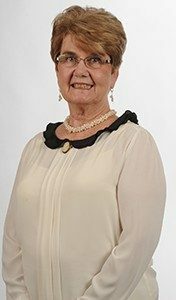 In 1969, she began her career in nursing education at the University of Arkansas at Little Rock and, in 1973, earned her master’s in education from the University of Central Arkansas. In 1987, she joined the UAMS College of Nursing as a faculty member teaching psychiatric nursing. She served as director of student affairs and recruitment, and director of continuing education for 18 years. 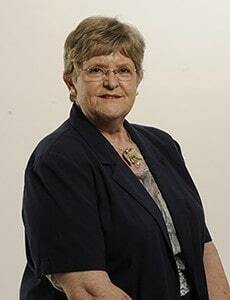 Prior to retiring in 2005, she spent the last six years at UAMS as director of advancement and community relations. Fambrough, along with friends and family, established the Benni Ogden Fambrough Endowed Scholarship in the College of Nursing. Smith, whose husband, Richard, also serves on the advisory board, holds a Bachelor of Science in Nursing from UAMS, graduating in 1963 at the top of her class. She served on active duty in the Navy Nurse Corps for 26 years, advancing to the rank of Commander. She earned her master’s degree in nursing administration from the University of Washington and held administrative positions for much of her Navy career. Upon Smith’s retirement from the Navy in 1989, she and Richard taught nursing at Harding University and came to the UAMS College of Nursing in 1994. They were involved in pioneering the online RN-BSN program in 1999 and both retired in 2008. The Smiths established the Richard Monroe and JoAnn Hennessy Smith Endowed Scholarship in the College of Nursing, providing tuition assistance to military veterans and those planning for military nursing experience. Spades is a lawyer in Little Rock and previously worked as an assistant U.S. Attorney in Little Rock and as staff attorney for the Arkansas Securities Department. 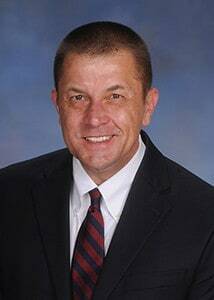 He currently represents clients in civil and criminal litigation matters and serves as a Criminal Justice Act panel attorney for the U.S. District Courts, Eastern District of Arkansas. In 2000, Spades and his two siblings, Rebecca Wood and Virginia Milan, established a baccalaureate nursing scholarship at UAMS in memory of their late father, Michael W. Spades Sr., who died that year. Spades has served on the advisory board since 2012. In 2014, he was presented the college’s prestigious Dean’s Award for outstanding service to the college. The UAMS College of Nursing Advisory Board is a volunteer organization to further philanthropic support for the College of Nursing and assist the college through leadership efforts in the community. The board assists with fundraising in support of the college; makes recommendations concerning support for the programs of college; raises public awareness of the needs, programs, growth and development of the college; and provides counsel to the dean and to members of the development team.